I’m hosting Megs Pritchard today on my LJ as part of her blog tour with Enticing Journey Book Promotions for Terrible Two’s. I’m over at Authors Speak today blogging about my recent get together with fellow Kiwi author Gillian St Kevern. There’s also photos. I’m interviewing L.E. 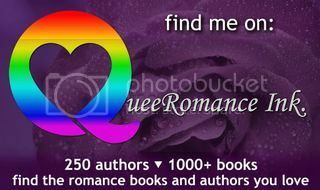 Fitzpatrick today on my LJ as part of her blog tour with Eyes on Books for Border Lines. There’s also a rafflecopter giveaway. I’m hosting Joe Cosentino today on my LJ as part of his blog tour for Cozzi Cove Stepping Out from NineStar Press. I’m hosting Louise Lyons on my LJ today as part of her blog tour for her new SF novel Regeneration. There’s also a rafflecopter giveaway. I’m hosting Gillian St. Kevern today on my LJ as part of her blog post for Uprooted from NineStar Press. I’m interviewing Amanda Summerbell on my LJ today as part of her blog tour with Eyes on Books for Family Sins from Tell-Tale Publishing. Serena from Rainbow Book Reviews has written a fabulous review for Winter Duet. Thanks, Serena. Read the review here.